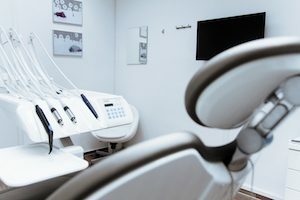 Dental anxiety is one of the main reasons why some people don’t visit the dentist as often as they should. According to a recent survey, 22% of people said that their fear of the dentist stopped them from seeking care. At OnCall Dental – Fresno, we pay particular attention to patients who have gathered the courage to come in despite their fear. They feel comfortable at our practice because we offer sedation dentistry. When you come in for an appointment, your dentist will determine which sedation dentistry treatment is best for you. We provide conscious sedation (usually anti-anxiety medication) or laughing gas. These treatments will be given to you right before your procedure begins. You’ll stay calm throughout the process, whether it’s a simple cleaning or a cosmetic dentistry procedure such as dental implants. Want to learn more about our comprehensive dental care services? Give our office a call at 559-900-2332 to schedule an appointment. Our experienced staff can answer any questions you have about sedation dentistry or any of our other services. Thanks so much for stopping by our dental blog. We look forward to keeping your smile healthy for life.